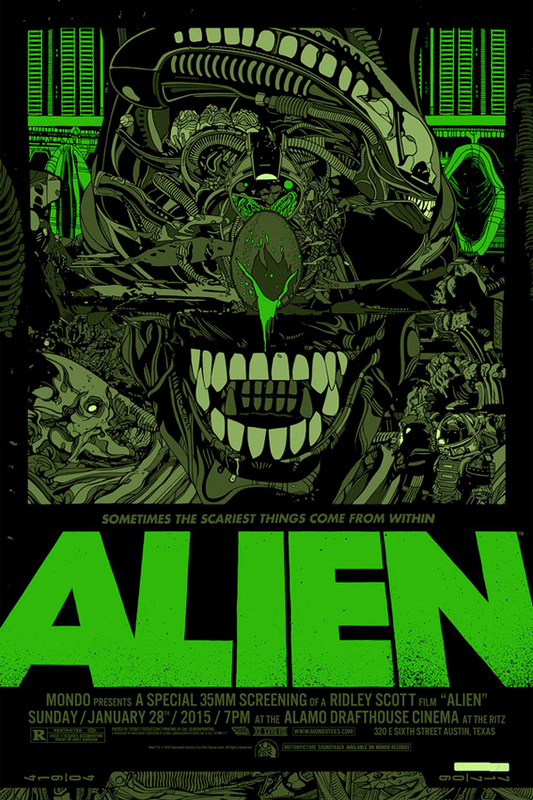 Last year marked the 35th anniversary of Alien, the classic sci-fi horror film from Ridley Scott. There wasn't as much pomp and circumstance as their was for the 30th anniversary of Ghostbusters, but for fans of the film looking for some kind of commemoration, look no further than this new Mondo poster for the film designed by Tyler Stout. 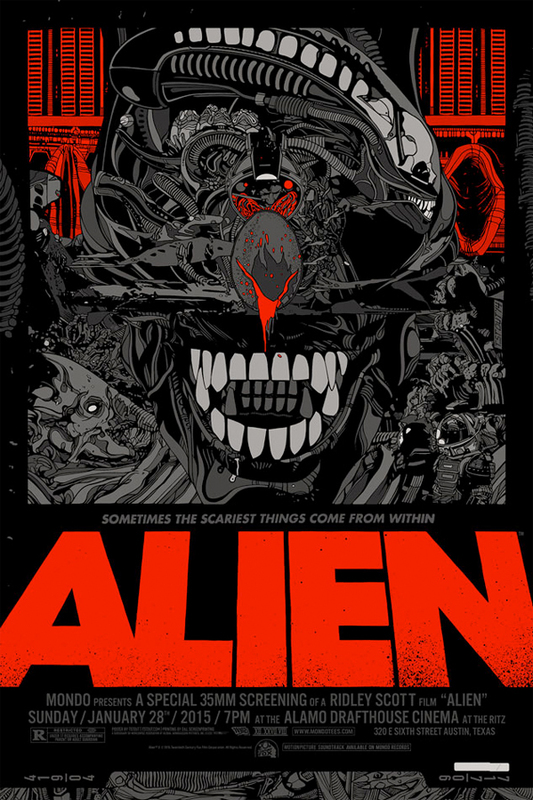 The print was unveiled at a special screening of Alien at the Alamo Drafthouse in Austin, Texas, and you'll have a chance to get ahold of your own copy at the end of this week. Of course, it's another awesome piece of work from Tyler Stout, and worthy of framing for any fan. Look! The regular (red) version has an edition of 510 and will cost $60. Meanwhile the variant (green) has an edition of 235 and will cost you $110. They both measure 24×36 and will be available for sale at a random time on Friday, January 30th. As always, stay tuned to @MondoNews on Twitter to find out specifically when you can buy it. And don't forget their incredible, collectible Iron Giant figure as well. Not sure if it's the line on these Mondo posters being so consistent, but they just look super flat.